Mix chic with sporty in the Puma A.C.E. 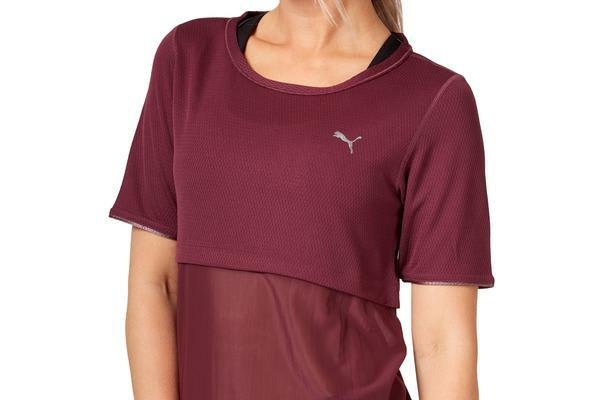 Reveal Training Top. Designed with dropped shoulders and a loose comfortable fit for freedom of movement as well as integrated dryCELL moisture-wicking technology to keep you dry and comfortable. Its mixed open hole and powermesh fabrication provides maximum breathability while the elbow-length sleeve provides added coverage. Dress it up with tights for the ultimate in sportswear!